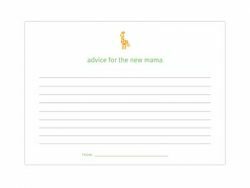 Our Favor Creative baby shower advice cards are great for guests to share some advice and life’s experiences with the new mother! Send the cards to each guest before the shower or hand them out during the event. Collect as is, bind them together or paste into a memory scrapbook. 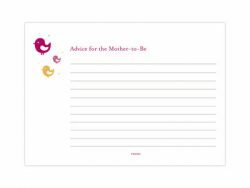 Our eco-friendly advice cards are printed on recycled paper! 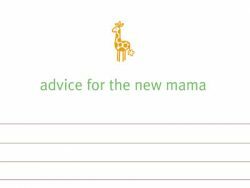 Our Favor Creative baby shower advice cards are great for guests to share some advice and life’s experiences with the new mother! 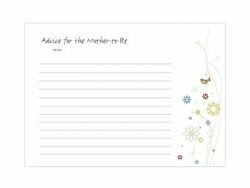 Send the cards to each guest before the shower or hand them out during the event. 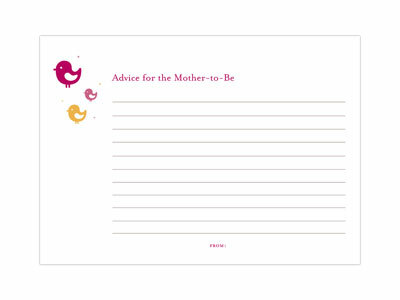 Collect the baby shower advice cards as they are, bind them together or paste into a memory scrapbook. 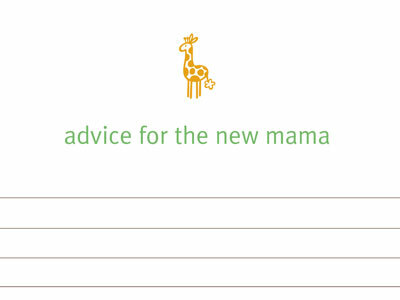 Our eco friendly baby shower advice cards are printed on recycled paper! Orders take 5 business days to process in the off-season, does not including shipping time. Please allow up to 2 weeks for processing during spring/summer. 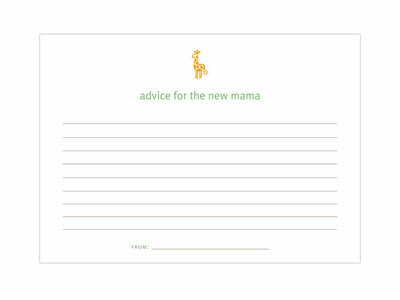 Part of the eco-friendly party favor collection by Favor Creative.